Effects of CTE range from headaches, dizziness, and behavioral changes to pathology suggestive of AD and PD. Chronic Traumatic Encephalopathy (CTE) is a progressive neurodegenerative syndrome believed to be caused by single, episodic, or repetitive head trauma or via the transfer of angular and rotational forces to the brain. However, a recent review paper concluded that it is not possible with any certainty to determine the causality or risk factors for CTE. In addition, there is insufficient evidence at this time to classify CTE as a clinical syndrome. 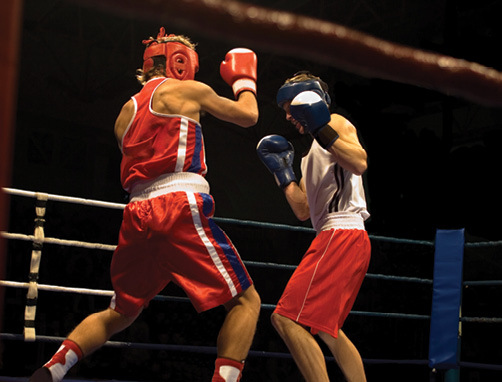 Once thought to be exclusive to boxers, the neuropathological changes associated with CTE have been found in former and current professional football, hockey, and soccer players, professional wrestlers, as well as military personnel who have suffered blast injuries and individuals with repetitive physical abuse.1,6-8,12,18,19 Currently there are two large study groups looking at CTE in high impact sport athletes and the military: Omalu/Bales, and the Boston University group (McKee and colleagues). In 1937 Millspaugh,5 in describing effects in Navy boxers, coined the term dementia pugilistica. Crichley9 in the mid-1950s reported on 69 cases of boxers with both chronic and insidious onset of mental and physical abnormalities marked by what he termed “euphoric dementia” characterized by emotional labiality, poor insight, speech difficulties, and memory problems. These individuals also experienced behavioral problems including mood swings, “fatuous cheerfulness,” depression, paranoia and sometimes even aggressive or disinhibited behavior. The patients also complained of persistent headaches, dizziness and unsteady gate. In 1969 Roberts10 published a report on 224 boxers with progressive memory loss, aggression, confusion and depression and correlated this with the number of fights and the length of the boxer’s career. There are more than 28 synonymic terms for CTE. In 1937 Millspaugh, in describing effects in Navy boxers, coined the term dementia pugilistica. One of the largest studies, Stern et al. (2013) looked at the clinical presentation and APOE genotype (a genetic risk factor for sporadic AD) in 36 pathologically confirmed CTE cases. The group conducted postmortem phone interviews with next of kin and when available reviewed the patient’s medical record. Cognitive deficits were reported in all but two subjects who were asymptomatic at time of death. Two distinct clinical presentations were found: behavioral and/or mood disturbances in those with a younger presentation and neurocognitive impairment whose initial presentation developed at an older age. In addition, there were significantly more APOE e4 homozygotes than expected in the general population (one to three percent) with two of 11 of the cognition group testing positive when compared to one of 22 for the behavioral group. The media has been quick to attribute suicide among current and former contact sport athletes with underlying CTE. Wortzel et al.16 looked published case reports form McKee and Omalu. The authors asked the question: “What is the existing evidence in support of a relationship between CTE and suicide.” The abstracts were individually reviewed by two of the authors and rated using the New Castle-Ottawa Quality Assessment Scale. After single case studies were excluded, two case series were included and there was “very low” probability that CTE was associated with an increased risk of suicide. The authors identified issues with the observational nature of the investigations, potential for bias, methodological issues and confounding factors as reasons for the poor rating. A second PET ligand [(18)F]-T807, also know as [(18)F]-T807 PET imaging also currently under investigation. This ligand binds to both tau and NFTs. 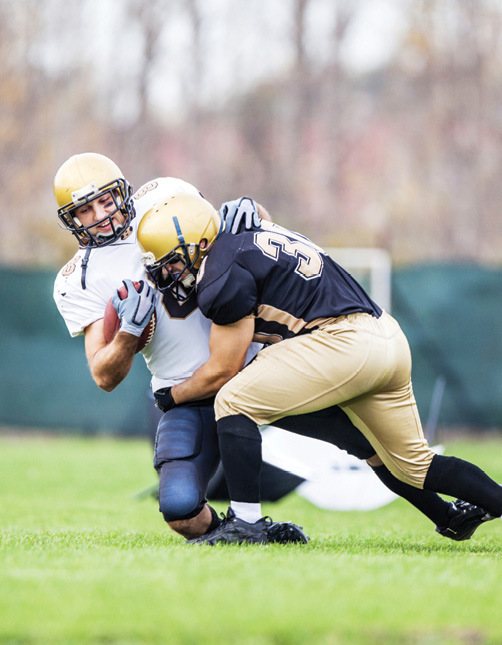 Two case reports of retired NFL players have been published.45,46 One involved a 71 year old with a history of multiple concussions and progressive cognitive decline. He initially underwent [(18)F]-Florbetapir PET imaging (a ligand used to detect AD) which was negative. CTE was suspected clinically, and [(18)F]-T807 PET imaging revealed striatal and nigral [(18)F]-T807 retention consistent with the presence of tauopathy. Interestingly, the distribution of the tauopathy mimicked that of progressive supranuclear palsy (PSP), however the patient did not have any signs or symptoms of a movement disorder. The key distinguishing factor was hippocampal involvement which is frequently seen in CTE and not with PSP. The second individual was 56 years old and suffered a single sever TBI (SDH from a fall). He carried a diagnosis of frontotemporal dementia and had also had a progressive cognitive decline as well as personality changes. [(18)F]-Florbetapir PET imaging one year post-injury was negative for an AD pattern of amyloid accumulation in this subject. Focal [(18)F]-Florbetapir retention was noted at the site of impact suggesting focal amyloid aggregation. McKee et al.20 examined 12 cases of Chronic Traumatic Encephalopathy and, in 10, found a widespread TAR DNA-binding protein of approximately 43kd (TDP-43). Three of the athletes with CTE also developed signs and symptoms of progressive motor neuron. In these three cases, there were abundant TDP-43-positive inclusions and neurites in the spinal cord in addition to tau neurofibrillary changes, motor neuron loss, and corticospinal tract degeneration. The results suggest that TDP-43 proteinopathy seen in CTE can extend into the spinal cord and is associated with motor neuron disease. Perhaps the most comprehensive study looking at head trauma as a risk for the development of PD was conducted by Jafari et al.33 After reviewing over 636 articles, 22 studies (19 case controlled, two “nested” case controlled and one cohort study) underwent meta-analysis and multi-varied statistical analysis. They found that a history of head trauma the results in concussion with a loss of consciousness has a statistically significant association with the risk of developing PD. Also, there is the use of proton magnetic resonance spectroscopy in conjunction with serial reaction time testing. De Beaumont et al.31 studying former university-level athletes found a disproportionate reduction in glutamate/H2O ratio in the primary motor cortex of concussed athletes as they age. This reduction correlated with motor sequence learning. Despite a growing body of research to suggest that professional football players are at an increased risk of neurodegeneration, cause and effect have not yet been established. In addition to beta amyloid deposition, neuro-inflammation and micro glial activation likely play a role in the development of AD in patients with a history of TBI. Animal models have shown an association between TBI and microglial activation and the development of anti-inflammatory cytokines the later of which may be neuroprotective due to their ability to clear beta amyloid. However, activated microglia and pro-inflammatory cytokines can persist for many years after the initial traumatic event where they can have detrimental effects on brain parenchyma.31 Taken together it is possible that a vicious cycle involving microglial and cerebral amyloid beta activation with spreading may result in the development of AD pathology in patients with a history of TBI. It is now quite evident that multiple concussions, sub-concussive hits and perhaps even a single concussion can place an athlete at increased risk for the early development of neurodegenerative disorders. Could this signal an end to American football? It is unlikely given the strength of the NFL, which continues to report revenues in the billions. In fact it would not be difficult to argue that professional football has replaced professional baseball as America’s favorite sport. It may, however, influence younger athletes to choose other sports such as baseball, basketball and even golf. This trend has actually already begun with a decrease in the number of children playing Pop Warner football over the past few years, and even at the professional level with the retirement of NFL and NHL players in their prime for fear of the effects of head injury. In addition, over the next few years retired NFL alumni are going to begin to be screened for all of the neurodegenerative discussed above. Francis X. Conidi, DO, a sports neurologist/headache specialist, is Director of the Florida Center for Headache and Sports Neurology, a tertiary center dedicated to treatment of chronic/refractory headache disorders and sports related concussion and sports related neurological disorders. He is immediate Vice Chair of the AAN Sports Neurology Section and co-author of the AAN’s position statement on concussion in sports. Find more articles on TBI and CTE online at PracticalNeurology.com. 7 Omalu B. I., Dekosky S. T., Minster R. L., Kamboh M. I., Hamilton R. L., Wecht C. H. (2005). Chronic traumatic encephalopathy in a National Football League player. Neurosurgery 57, 128–134 discussion: 128–134. 9 Critchley M. Medical Aspects of Boxing, Particularly from a Neurological Standpoint* Br Med J. 1957 Feb 16; 1(5015): 357–362. 10 Roberts, A. H. (Anthony Herber) Brain damage in boxers : a study of the prevalence of traumatic encephalopathy among ex-professional boxers. Pitman Medical & Scientific Publishing Co., Ltd, London, 1969. 12 Omalu B. Chronic Traumatic Encephalopathy. Prog Neurolog. Surg. 2014:28:38-49. 14 Lenihan MW, Jordan BD. The clinical presentation of chronic traumatic encephalopathy. 16 Stern RA1, Daneshvar DH, Baugh CM, Seichepine DR, Montenigro PH, Riley DO, Fritts NG, Stamm JM, Robbins CA, McHale L, Simkin I, Stein TD, Alvarez VE, Goldstein LE, Budson AE, Kowall NW, Nowinski CJ, Cantu RC, McKee AC. Clinical presentation of chronic traumatic encephalopathy. Neurology. 2013 Sep 24;81(13):1122-9. 17 Wortzel, H. S., Shura, R. D., & Brenner, L. A. (2013). Chronic Traumatic Encephalopathy and Suicide: A Systematic Review. BioMed Research International, 2013. 20 McKee A. C., Gavett B. E., Stern R. A., Nowinski C. J., Cantu R. C., Kowall N. W., et al. (2010). TDP-43 proteinopathy and motor neuron disease in chronic traumatic encephalopathy. J. Neuropathol. Exp. Neurol. 69, 918–929. 21 McCrory P., Meeusisse W., Kutcher J., Jordan B., What is the evidence for chronic concussion related changes in retired athletes: behavioral, pathological and clinical outcomes? Br J Sorts Med 2013;47:327-330. 22 Tartaglia MC, Hazrati L-N, Davis KD, et al. Chronic traumatic encephalopathy and other neurodegenerative proteinopathies. Frontiers in Human Neuroscience. 2014;8:30. 23 Kraus MF, Susmaras T, Caughlin BP, Walker CJ, Sweeney JA, Little DM. White matter integrity and cognition in chronic traumatic brain injury: a diffusion tensor imaging study. Brain : a journal of neurology 2007;130:2508-2519. 24 Ojo JO1, Mouzon B, Greenberg MB, Bachmeier C, Mullan M, Crawford F. Repetitive mild traumatic brain injury augments tau pathology and glial activation in aged hTau mice. J Neuropathol Exp Neurol. 2013 Feb;72(2):137-51. 25 Chen H, Richard M, Sandler DP, Umbach DM, Kamel F. Head injury and amyotrophic lateral sclerosis. American journal of epidemiology 2007;166:810-816. 26 Abel EL. Football increases the risk for Lou Gehrig’s disease, amyotrophic lateral sclerosis. Perceptual and motor skills 2007;104:1251-1254. 27 Chio A, Benzi G, Dossena M, Mutani R, Mora G. Severely increased risk of amyotrophic lateral sclerosis among Italian professional football players. Brain : a journal of neurology 2005;128:472-476. 28 Belli S, Vanacore N. Proportionate mortality of Italian soccer players: is amyotrophic lateral sclerosis an occupational disease? European journal of epidemiology 2005;20:237-242. 29 Fakhran S, Alhilali L. Neurodegenerative changes after mild traumatic brain injury. Prog Neurol Surg. 2014;28:234-42. 30 Smith C. Review: The long-term consequences of microglial activation following acute traumatic brain injury. Neuropathology and Applied Neurobiology. 2013:39:35-4. 31 Breunig JJ, Guillot-Sestier M-V, Town T. Brain injury, neuroinflammation and Alzheimer’s disease. Frontiers in Aging Neuroscience. 2013;5:26. 32 De Beaumont L, Tremblay S, Henry LC, Poirier J, Lassonde M, Théoret H. Motor system alterations in retired former athletes: the role of aging and concussion history. BMC Neurology. 2013;13:109. 33 Harris MA, Shen H, Marion SA, Tsui JK, Teschke K. Head injuries and Parkinson’s disease in a case-control study. Occup Environ Med. 2013 Dec;70(12):839-44. 34 Jafari S, Etminan M, Aminzadeh F, Samii A. Head injury and risk of Parkinson disease: a systematic review and meta-analysis. Mov Disord. 2013 Aug;28(9):1222-9. 35 De Beaumont L, Theoret H, Mongeon D, Messier J, Leclerc S, Tremblay S, Ellemberg D, Lassonde M. Brain function decline in healthy retired athletes who sustained their last sports concussion in early adulthood. Brain. 2009;132(Pt 3):695–708. 36 De Beaumont L, Lassonde M, Leclerc S, Theoret H. Long-term and cumulative effects of sports concussion on motor cortex inhibition. Neurosurg. 2007;61(2):329–336. 37 De Beaumont L, Mongeon D, Tremblay S, Messier J, Prince F, Leclerc S, Lassonde M, Théoret H. Persistent motor system abnormalities in formerly concussed Athletes. J Athletic Train. 2011;46(3):234–240. 38 De Beaumont L, Tremblay S, Poirier J, Lassonde M, Theoret H. Altered bidirectional plasticity and reduced implicit motor learning in concussed athletes. Cereb Cortex. 2012;22(1):112–12. 39 Lehman EJ. Epidemiology of neurodegeneration in American-style professional football players. Alzheimer’s Research & Therapy. 2013;5(4):34. 40 Sivanandam T. M., Thakur M. K. (2012). Traumatic brain injury: a risk factor for Alzheimer’s disease. Neurosci. Biobehav. Rev. 36, 1376–138. 41 Gentleman S. M., Greenberg B. D., Savage M. J., Noori M., Newman S. J., Roberts G. W., et al. (1997). A beta 42 is the predominant form of amyloid beta-protein in the brains of short-term survivors of head injury. Neuroreport 8, 1519–1522. 42 Gentleman S. M., Leclercq P. D., Moyes L., Graham D. I., Smith C., Griffin W. S., et al. (2004). Long-term intracerebral inflammatory response after traumatic brain injury. Forensic Sci. Int. 146,97-104. 43 Gentleman S. M., Nash M. J., Sweeting C. J., Graham D. I., Roberts G. W. (1993). Beta-amyloid precursor protein (beta APP) as a marker for axonal injury after head injury. Neurosci. Lett. 160, 139–144. 44 Kane M. D., Lipinski W. J., Callahan M. J., Bian F., Durham R. A., Schwarz R. D., et al. (2000). Evidence for seeding of beta-amyloid by intracerebral infusion of Alzheimer brain extracts in beta-amyloid precursor protein-transgenic mice. J. Neurosci. 20, 3606–3611. 45 Small GW, Kepe V, Siddarth P, Ercoli LM, Merrill DA, et al. PET scanning of brain tau in retired national football league players: preliminary findings. Am J Geriatr Psychiatry. 2013;21:138–144. 46 Gandy S, DeKosky ST. [18F]-T807 tauopathy PET imaging in chronic traumatic encephalopathy. F1000Research. 2014;3:229. 47 Mitsis EM, Riggio S, Kostakoglu L, et al. Tauopathy PET and amyloid PET in the diagnosis of chronic traumatic encephalopathies: studies of a retired NFL player and of a man with FTD and a severe head injury. Translational Psychiatry. 2014;4(9):e441. Cluster headache is commonly misdiagnosed. A Stop Sign for SSRIs and SNRIs? A new analysis sees no role for the drugs for migraine.